Garden water features bring a beautiful aural texture to your outdoor garden design with the gentle and relaxing sound of running water. 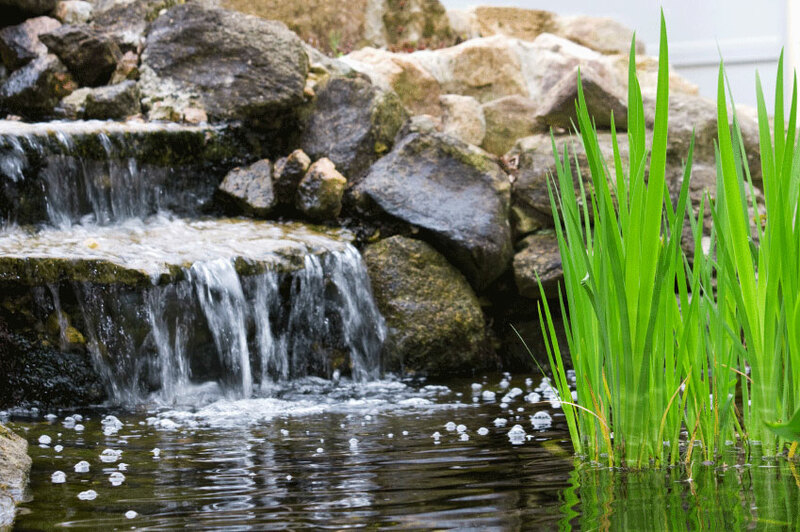 Let us bring beautiful aural texture to your garden with the gentle and relaxing sound of running water. 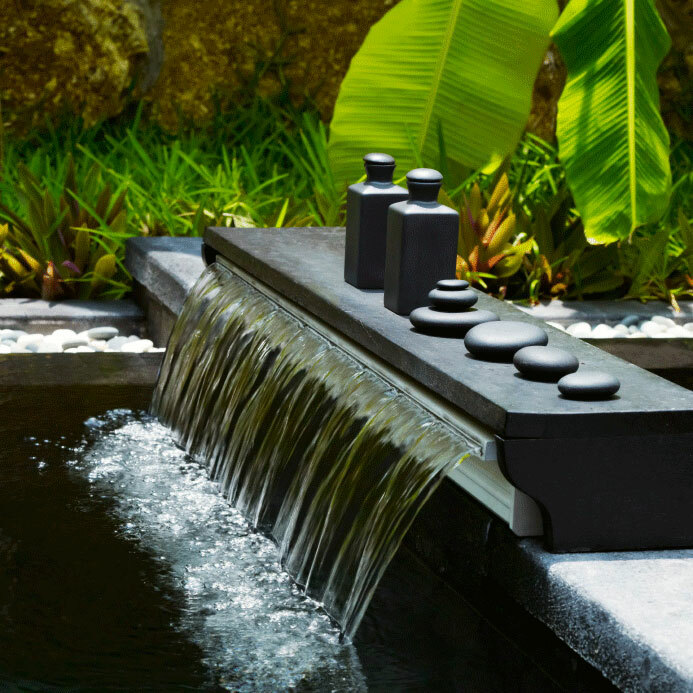 Water features can completely transform your garden space, particularly in urban areas, where a connection with the elemental force of water will take you far beyond the city environment. 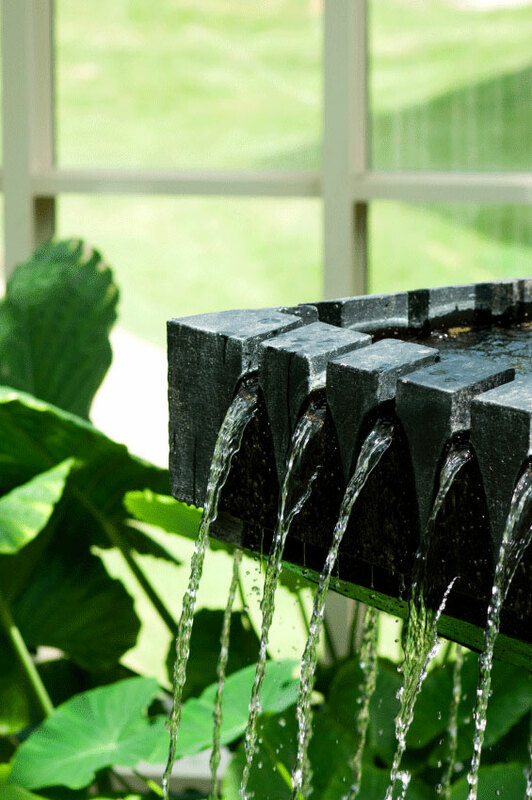 Modern water features are typically self-contained and therefore don’t need plumbing in. Instead water is continually recycled from a reservoir with an electric pump. Solar pumps are also now readily available so an electricity supply is not necessarily required. In the summer, when evaporation levels are at their highest, you simply top up the reservoir. In terms of construction materials, there is quite an array, from standing stones and carved granite pieces, resin and fibreglass which generally mimics natural stone, through to contemporary design made from stainless steel and glass. Many water features also come with L.E.D. 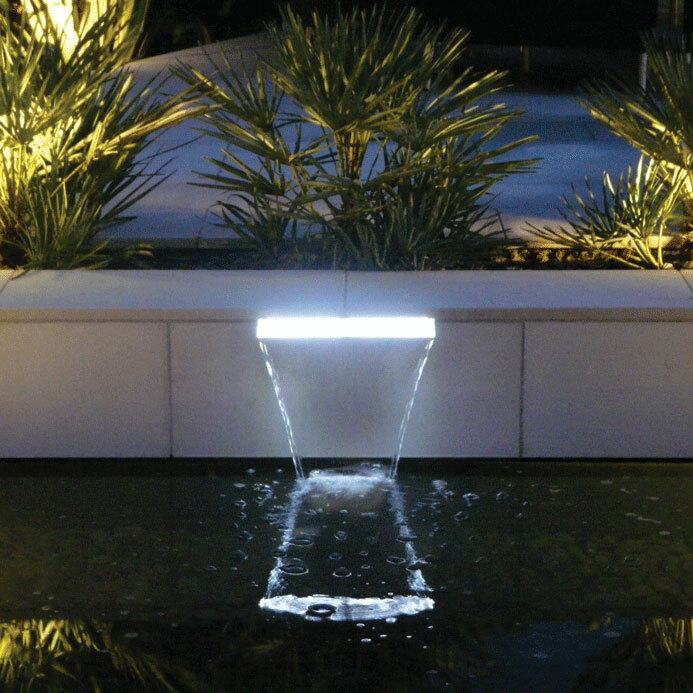 lighting that illuminates the water as it cascades. The other great thing about water features is that they attract birds, animals and insect life to your garden, which will be both a pleasure to watch and will also enrich your gardens bio-diversity.